I’m on the lookout for suitable hedgehog release sites for hedgehogs that have spent the time in care. I want the best of the best for these rehabilitated hedgehogs so please let me know if you can offer the perfect des-res. Below are the minimum requirements that all homes must meet. I am looking for homes within 5 miles of York but other hedgehog rescues will have similar criteria. Please note that normally a hedgehog will return to where it was found following its rehabilitation. This is not always possible though in every case, for example where the finder has not provided details of the location. 2. You must be well away from busy main roads – hazardous to hedgehogs. 4. Your garden must be linked to at least 10 large gardens via hedgehog holes/hedges/open fencing. The ideal garden will offer plenty of ground cover for foraging and nest sites. 5. You must provide a suitable escape route from any ponds. 6. You must provide some form of shelter. This can be anything from a homemade house under a log pile, to a specially purchased hedgehog box. This will give your new resident a helping hand to set up home. A hedgehog house made under our log store from bricks, twigs and leaves. It provides great shelter from the elements and also a home for insects. 8. Not near badger sites. Badgers will predate hedgehogs where they live in close proximity. If you didn’t get past the first essential requirement, many people find that if they leave food and water out regularly, they discover they do have hedgehog visitors! I don’t tend to soft-release hedgehogs in an outdoor enclosure but I do make sure they are used to the outdoor temperatures by acclimatising them in an outdoor hutch or garage. You can read new guidelines on releasing wild hedgehogs here. My work rehabilitating hedgehogs is entirely self funded. I raise funds for medicines, food and equipment by making silver jewellery inspired by nature – great ethical gifts! You can also support my work in other ways here. Good luck finding release sites! Got my fingers crossed for these rehabbed hogs to do well! Hi, would love to help and we fit the criteria. Hi! Lovely article. If you still need homes for hedgehogs, we fit the bill. We live on the edge of a village away from main roads. Lots of access to other gardens, especially our neighbours who have a hedgehog house already in their garden and have rescued a few hedgehogs over the years. We’ve been here for over 15 years and have always had hedgehogs in the gardens – huge ones. Last year one of the hedgehogs had babies 🙂 We live in Tollerton, York, North Yorkshire – email ajhhrh@hotmail.co.uk Large gardens, lots to eat – we grow our own veg and so do the neighbours, no pesticides used, lots of slugs! I am contacting you on behalf of White Rose Club Limited. At a recent meeting our committee decided to explore the possibility of becoming a location for the re-homing of rescued hedgehogs. White Rose Club is a members’ naturist club 7 miles to the north east of York. We have an 11 acre low density caravan site which retains 2 substantial wooded areas and a paddock. Whilst individual pitches are well manicured they are separated by low intervention shrubbery and there is mixed species screen hedge within a ‘leaky’ perimeter chain-link fence. The site is surrounded by farm land and is well away from roads (although we are adjacent to a railway line). We do not permit dogs on our premises but we are visited by the occasional farm cat. 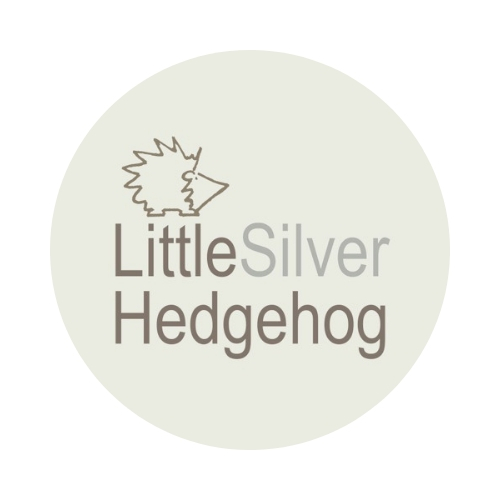 If you feel that our site might be suitable to re-home some hedgehogs, I would be pleased to discuss matters further and arrange a site inspection.